Ha! Trick question! There is no feature! Or rather, there are a whole bunch: This week, you get a whopping 22 feature stories for the price of one, because that's the kind of people we are. 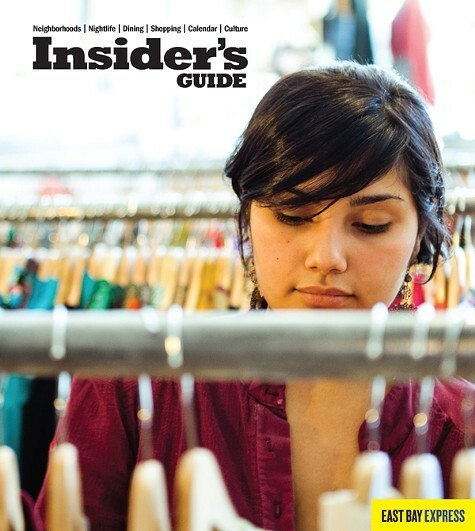 Welcome to the Insider's Guide, in which people who are paid to know about cool things dispense with said knowledge about the East Bay's various shopping, nightlife, dining, and cultural riches, as well as point out a handful of up-and-coming neighborhoods and mini-neighborhoods. Read it, save it, share it with someone you love.